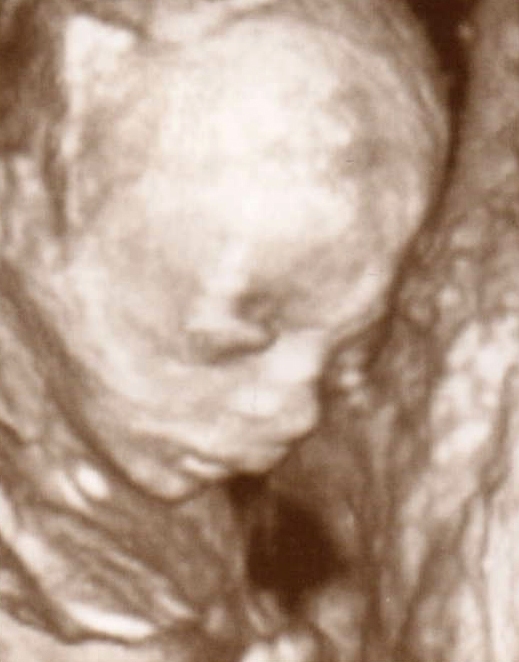 I’m still in awe of our ultrasound yesterday. Everything went so very well, and Lil’ Fünf showed up with extreme clarity on the machine. 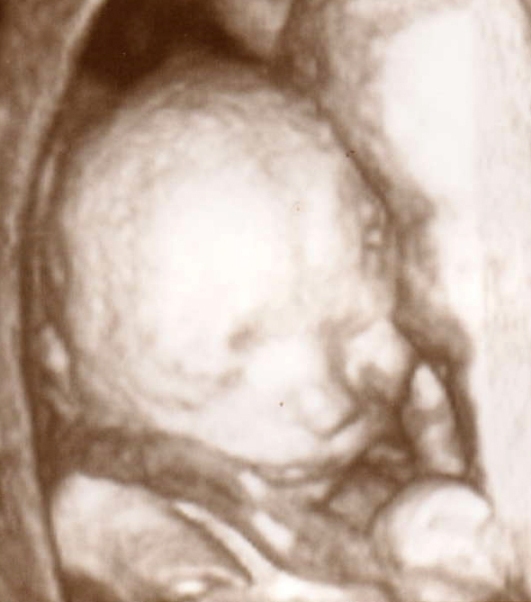 I’ve grown to love the ultrasound tech who has sounded our last three children, and comes from a family of five children herself. She’s a source of encouragement when she does my ultrasounds, always saying that it gives her joy to see other families having large families. So yesterday, she went through all of the details and measurements, while I tried to memorize every image…the shape of the nose, the placement of the chin. Double checking that I did want to know the gender of Fünf, she had the privilege of revealing the news (wouldn’t you like to know). It’s hard to believe this little one is only half way through creation…every little detail has already been set in place. Suddenly, trying to envision the shape of the lips and nose became possible. I’m thinking future candidate for the Olympics in 2040?? I WISH I could share with you the finer detail that I know all of you want to know, but Tom Builder has been stubborn as a cement block and is determined not to know…although he swears he could tell from my phone message to him after the ultrasound that based one “how” I spoke, it was a boy. The children have practically twisted into pretzels trying to get him to give in. 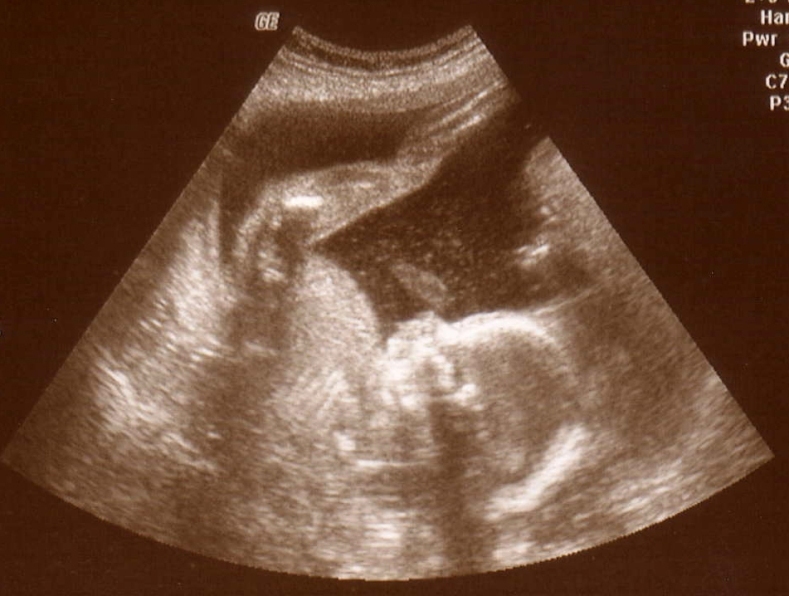 So for now, I’ll let you all form your own guesses based on the ultrasound pictures.